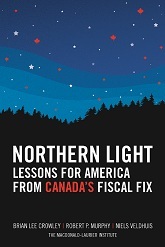 At the request of the prestigious Foreign Policy magazine, the co-authors of The Canadian Century produced an article about what Americans might learn from Canada’s experience. That article has just been published and is available here. An audio version is also available. June 25, 2010. Regular readers of this blog will recall that I was invited by the National Post to participate in their series of reflections on the idea of a coalition uniting the Liberals and the NDP. Subsequently the Post asked me and Michael Byers to participate in a podcast discussion about the coalition idea as part of their Full Comment series. Click here to listen. Should the Liberals throw in the towel and merge with the New Democrats? Are post-election governing coalitions like the one in the United Kingdom right for Canada? Is it time to treat Bloc Québécois MPs as something other than pariahs? Brian Lee Crowley of the Macdonald-Laurier Institute, and UBC political science professor Michael Byers, join Chris Selley to discuss Canada’s political future. I was on the Dave Rutherford show earlier today to discuss The Canadian Century. You can hear the interview here (click on June 16, 11:00 AM). I will be a guest on “The Advocates” radio show along with co-author Jason Clemens to talk about The Canadian Century, Wednesday June 16 at noon. Listen live at www.wvox.com. I was on Michael Harris Live on 580 CFRA in Ottawa this afternoon to discuss Frank McKenna, and what it tells us about Canadian politics that he isn’t interested in leading a political party. I was on the Tommy Schnurmacher Show on CJAD in Montreal yesterday to discuss The Canadian Century. Click here to listen. I was on Michael Harris Live on 580 CFRA in Ottawa today to discuss The Canadian Century. Brian Lee Crowley was interviewed for the Brent Holland Show. Click here to listen. 31 May 2010. I am scheduled to be on CJNI News 97.5 Radio – Afternoons with Tom Young, at 13:30, to discuss The Canadian Century. Here is an interview I did with Joseph Planta for The Commentary, discussing The Canadian Century.